I joined Vincent Culliver and Brad Rudolf to go fishing for the first time off of Vandenberg Air Force Base. We met at Vincent’s house to get loaded up and drive in together. Another guy, believe his name was Mike, arrived as we loaded the kayaks onto a trailer and loaded up and drove onto the base. We had late start, getting to the launch area around 10am. We made it onto the water and started fishing in 40-70 feet of water with swim baits. I caught a couple small Lingcod 25-29inchers, a few rockfish, and a 20inch Cabezon. Vincent caught a nice 20lb ling and released it. Overall, there was no great bite going on in the area. There was one other boat in the area when we arrived, fishing maybe 100-150 yards inside of us. Around 11am 2 other kayakers were on their way out to meet us, whom I had yet to meet for the first time. They were about 100 yards from us in about 40 FOW. I remember hearing screams and looking over and seeing two kayaks and one angler. As I bolted over to help, I was asking myself how and why did this guy fall off his kayak on a flat day like today. The boat that was fishing pulled up at the same time as I did. As I approached the area, I noticed that the kayak was a Hobie PA and upside down as the man was clinging to the top of his kayak. He said he was uninjured. They said a great white circled them and then came and knocked the man out of his kayak and struck the kayak in the mirage drive area. The boat Elizabeth Ann was able to load the two guys onto their boat and pulled them into the harbor that we launched from by the boat house and they headed home for the day. 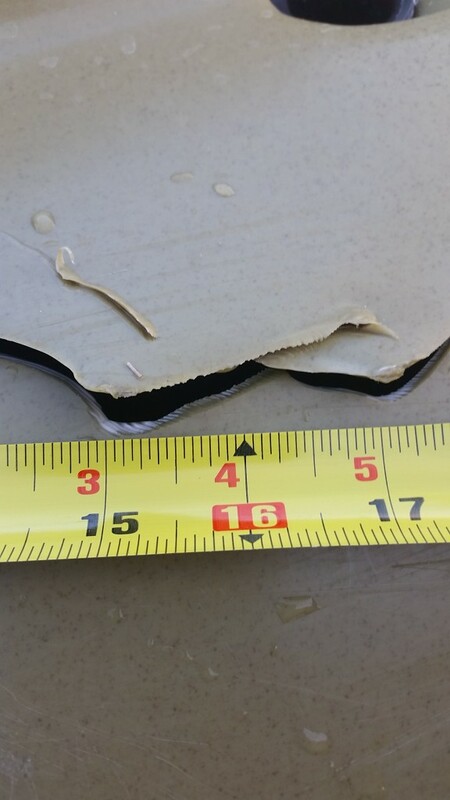 They estimated the shark at approximately 18+ feet. 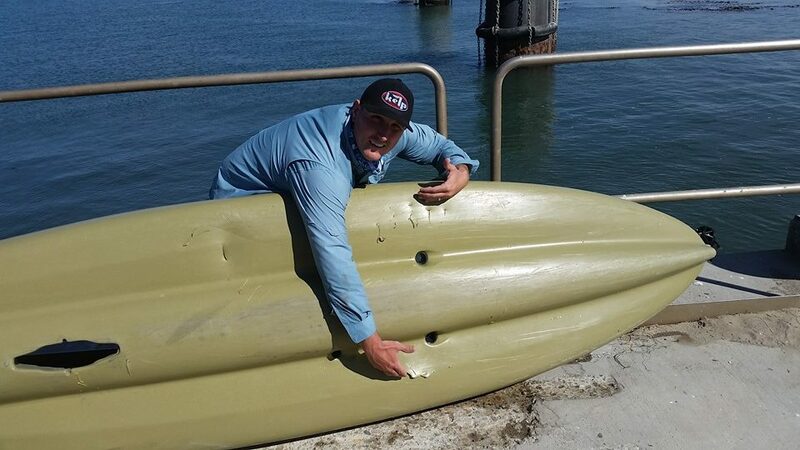 He did have a bite mark in the front area of his kayak. The other guy Mike that fished with us followed them in and decided to call it a day. Brad, Vincent and I decided we would stick it out and try and find some fish to bring home. We all decided to fish close to each other to appear as a larger object, in hopes of decreasing a chance of an attack. We also figured, what are the chances of this happening twice in the same day. We fished for about 2-3 hours, when it happened. We were under way, via peddle power, to a new location. We probably moved 100 ft or so from our last stop, with Vincent just at the port stern maybe 5ft from my kayak and Brad just on Vincent’s port side. The next thing that happened was the first and hopefully lthe last worst experience of my life. I was struck from the bottom of my kayak with such force that it tossed me and the kayak straight up into the air. I remember hearing Vincent scream , “That thing is Bleeping HUGE!” Then I remember hearing my name being called by both guys over and over and over again. I remember hitting the water and popping up to the surface as my kayak rammed me. I was pushed for what felt like a long time but could not have been longer than a few seconds, with the shark having the kayak in its mouth and me holding onto the other side of the kayak. All I remember is seeing gray as I tried to look over the kayak. It finally let go of the kayak and sank into the depths. 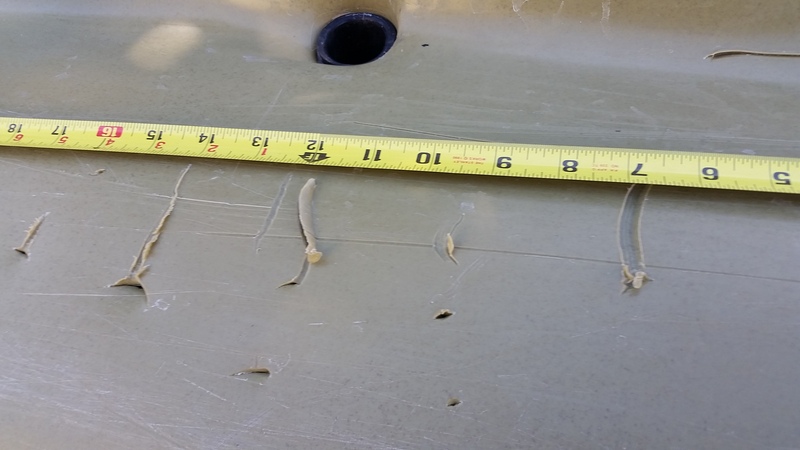 I was able to get a look at the kayak and saw a whole about 6inches long and had about a 2inch wide gap and knew right then getting back on that kayak was not an option. Vincent came up and I jumped on the back of his Pro Angler and we called for help from the boat that was in the area not long before, which was on its way south back to Santa Barbara Harbor at this point. The boat returned and the three of us jumped on and pulled the Outback on board as well. It was taking on way too much water at this point. Upon getting back on land and looking at the kayak further, there were two distinct bite marks. One was located on the seat area and one in the drive area. 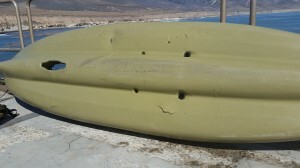 The mirage drive itself took some damage and the kayak took a good chunk as well. The mouth opening was approximately 24inch by 19 inches and tooth gap was about 2.25 inches, which predicts the shark to be over 20ft, per the Shark research committee. I took a lot from this experience and am very thankful to have come out uninjured. First, the PFD helped keep me on the surface when I was thrown from the kayak. If I didn’t have it, I may not have been back on the surface when the kayak came towards me. I might have been in the path of the shark bite, coming back for seconds. Secondly, having the VHF radio really saved us on getting a boat to come and help us. Sitting out in that area with a known shark after physically experiencing that would have been tough, and moving a kayak with two people is slow going for sure. Third, having that buddy system is a must as well. I enjoy fishing solo and the peace from it, but I rarely fish solo and will never do it again on the ocean. Fourth, when there is an attack in the area earlier that day or even the day before get off the water. Findings are suggesting that the surfer attacked on Thursday and our attacks on Friday are two separate sharks based on bite marks. My plans from here on out is to get back out on a kayak, hopefully a Hobie, and replenish all my fishing gear and go-pro. thanks for the story. I was in that same spot (also with the JSF guys) last October and was followed but not hit by about a 14 footer. I look forward to getting out again soon, but my boss has grounded me for the month of October (he says its a lawful order).perhaps we’ll cross paths. I’ll be in the bright yellow revolution I’m glad you’re safe. Well, Sharktober strikes again. We were lucky enough to fish Friday without incident, but we were at Cayucos. Amazing story, and I am so glad Jesus was with you. You would have been but a tasty morsel for an 18 footer. 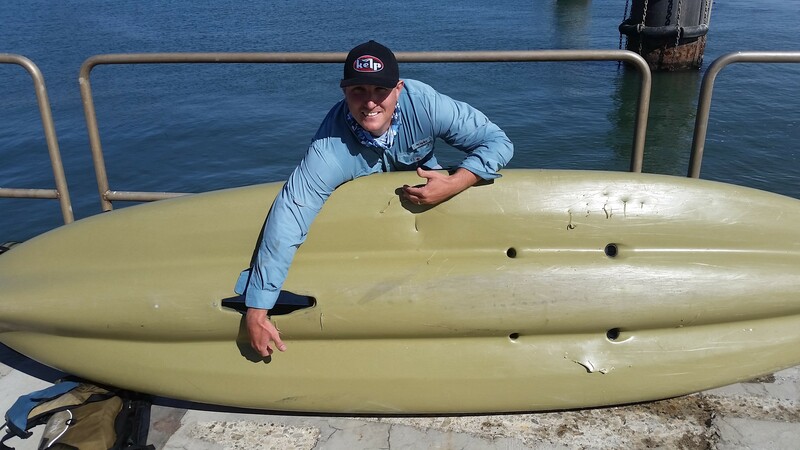 You may want to contact Hobie and tell them your kayak was defective. It has a giant hole in it. They will laugh with you and possibly have sympathy on your situation and kick down. You never know… Worth a try?